Phil earned his undergraduate degree in accounting from Valdosta State University in Georgia. While attending college, he managed the family business, Cannon Music Company, which was sold just prior to graduation. He attended law school and received his Juris Doctorate from Norman Adrian Wiggins School of Law at Campbell University in Buies Creek, NC, in 1992. He relocated to Albany, GA, where he and his wife raised four kids. During his legal career, he divided his attention between criminal defense and maintaining relationships with several small family owned business clients. He joined POSM in 2016. 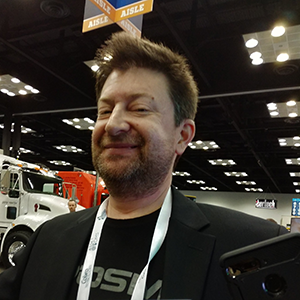 Matt earned a Bachelor of Fine Arts in graphic arts from Ball State University and worked in publishing for 19 years before becoming part of the POSM team. In his free time, Matt enjoys fishing, hiking and building remote controlled cars. Bob co-founded the company that eventually became POSM Software in 2000 while at Purdue University earning his Bachelor’s of Science in Computer Technology and Networking. He continued to nurture POSM while employed at Caterpillar and for seven years as an engineer at RS Technical Services (now Subsite Electronics), where he worked with cameras, tractor development, and IT server administrators. He took the company full-time in 2009. Bob enjoys gaming, running, hiking, cycling (both the kind you pedal and the kind with a motor), inline skating, photography, and, of course, computing. Director of Service, Support, and Branding. Cliff started working for POSM back in 2001 as a contracted graphic artist. He joined the company full-time January 2011. “I’ve been an avid computer programmer and user since the ‘80s.” Cliff earned a BFA in painting from Ball State University. Along with his freelancing endeavors, Cliff was a graphic designer for Galyan’s Sports and Outdoor in the early 2000s. After it closed, he worked for a design agency that specializes in pharmaceutical advertising. Through the years, he transitioned into IT roles. Megan lives three hours from the coast of Florida. “I’m a bit of a beach bum. My dad taught me to surf when I was little and I enjoy watching the surfers on the Atlantic Coast. I want to enroll my eldest son in surf lessons.” She and her husband love kayaking, hiking, and biking. They homeschool their oldest child, and are active members of The Church at the Groves in Leesburg, GA. “My husband is a chef, so we consider ourselves ‘foodies.’ We love to travel to new places just to eat the food.” She is a Jimi Hendrix fan. 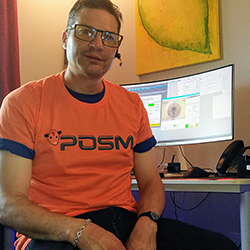 John joined POSM from Robert Half Technologies in August 2017, having worked as a temporary associate on the POSM Team since April 2017. 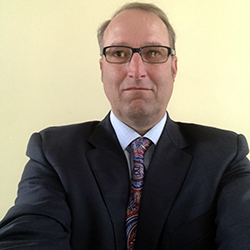 Born in Jacksonville, FL and raised in Dayton, OH, John has always had a keen interest in computing technology, whether hardware or software. 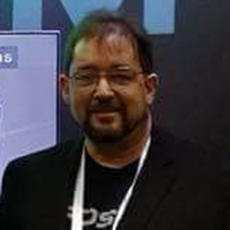 Some of his past roles include being a Sonar Technician in the US Navy, a Purchase Agent for Qwest (now Century Link), NCR Field Service Technician (working with all kinds of computer/network equipment) and a Software Support Engineer for Veeam Software. He has a Bachelor’s Degree in Technical Management from DeVry University and several certifications, including A+ and Network+. He is working toward earning an MCSA (Microsoft Certified Solutions Associate) certification and renewing his CCNA (Cisco Certified Network Associate). John’s hobbies include playing turn-based games, card games (Euchre anyone? ), building and upgrading computers, exploring new places, and karaoke. 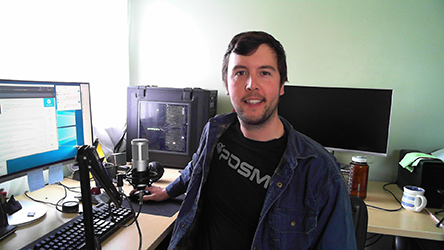 Andrew joined the POSM support team in 2016. He served four years in the United States Air Force, stationed mostly in Japan, where he maintained and repaired fighter jets. He also worked five years at Franklin County Metro Parks performing park and vehicle maintenance, and one year at Champion Cleaning, where he repaired sewer inspection equipment and all things computer-related. Bob and Cliff [Katter] are the kindest, fairest bosses I’ve ever had. I feel as though my efforts directly affect the company.” In his free time, he enjoys making music, skateboarding, riding his motorcycle, and fly fishing. He’s managed POSM Software’s account since December 2015. “Working with the POSM team, Bob, Gene Clifford, Phil and Megan, is a challenge, but fun. They always try to make my job easier as I strive to serve them to the best of my ability.” Learn more about M-E Accounting by clicking here. CopyBob's experience in marketing and advertising goes back to 1998; he's worked as a freelance writer since 2008. His content creation expertise includes retail, technology, business success stories, and insurance, across a variety of platforms. Libor works externally for POSM, helping with image alignment and stitching algorithms. He founded ImagingShop.com in 2012, a company that specialized in computational photography. Before that, he worked in several IT companies and built ComponentOwl.com, a company providing .NET components. Born in Czech Republic, Europe, and currently living in Prague. He enjoys tantric yoga and massage, adventurous traveling, digital photography, popular science, cooking and a minimalist lifestyle. Find out more about Imaging Shop by clicking here. 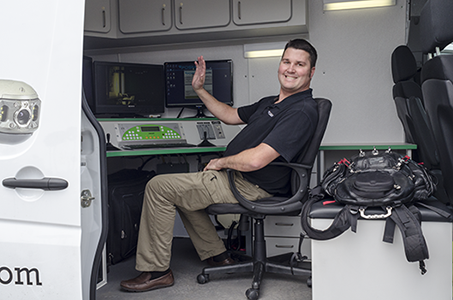 Experience with POSM Pro and/or other pipeline inspection systems preferred. Familiarity with POSM Server and/or ESRI ArcMap is highly desirable.